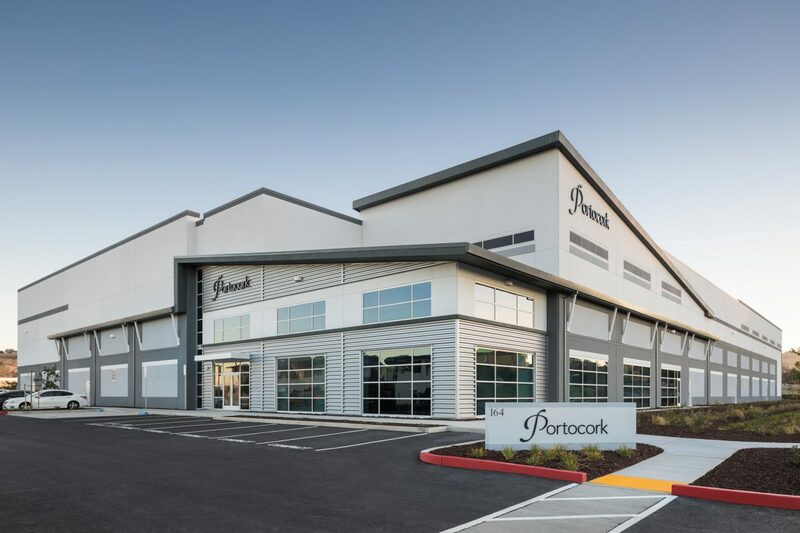 Located in the heart of Napa California wine country, Portocork has been dedicated to the art and science of producing the highest quality natural cork since 1982. 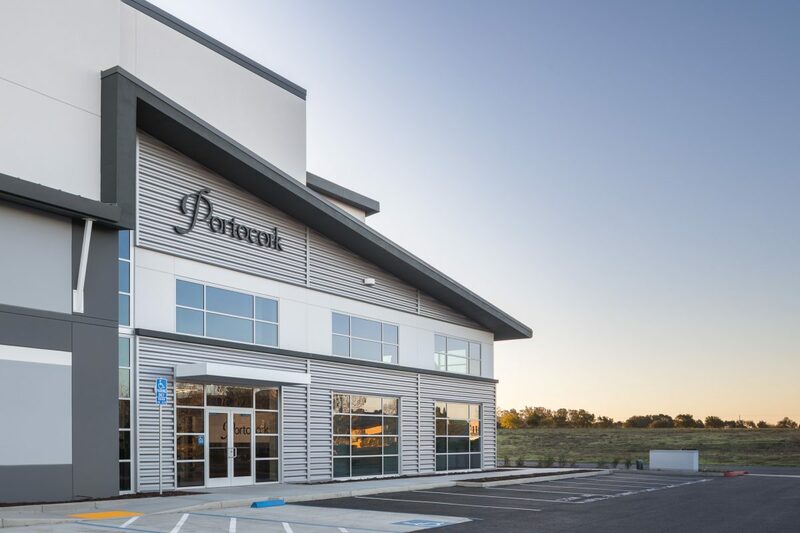 The 44-employee North American distributor for Portocork International of Portugal outgrew the capacity of its 44,000 sf plant at 560 Technology Way and sourced RMW to design its 54,700 sf facility in Napa’s airport industrial area. 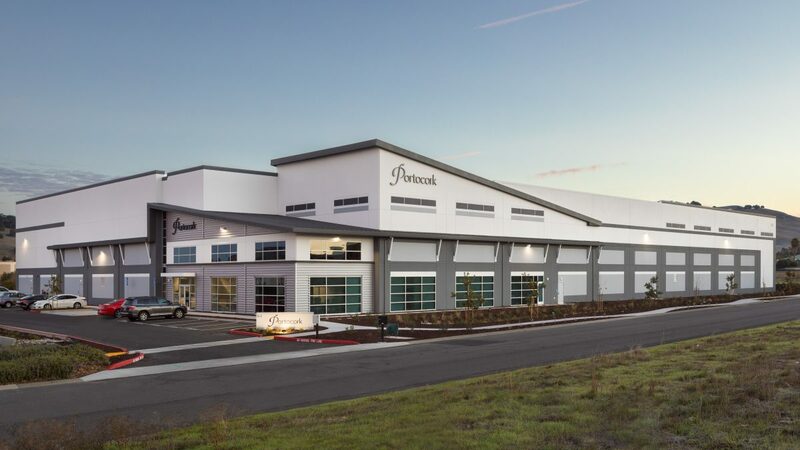 Hailed for its “aesthetically pleasing” design by the Napa County Planning Commissioners, the 44’-4” tall, single story tilt-up warehouse/distribution/office building sits on a 2.49-acre site with 40 parking stalls for employees and visitors. The angular farmhouse-inspired industrial structure is surrounded by two entrance drives that provide through truck circulation from opposite corners of the site, both accessed from Gateway Road East. Included within the exterior concrete tilt-up wall construction are night air cooling vents for natural air flow ventilation throughout the warehouse.